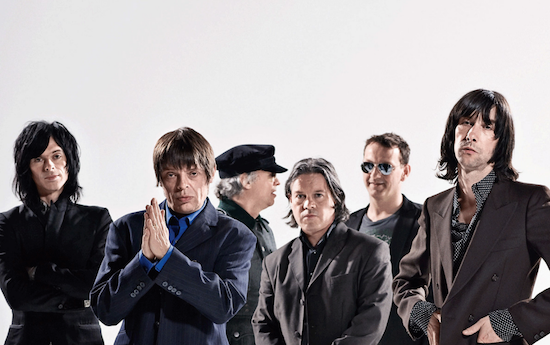 Primal Scream have announced plans to release a two-volume singles compilation. Maximum Rock N Roll: The Singles is split between singles released by the band from 1986 until 2000 on the first part and 2000-2016 on the second part. Each part will be available in a 2xLP edition. The first volume is made up of 17 tracks and includes some of Primal Scream's biggest hits such as 'Moving On Up', 'Rocks', 'Loaded' and 'Come Together'. The second collection takes in 14 tracks such as 'Accelerator' and the group's Kate Moss collaboration 'Some Velvet Morning', originally released in 2002. Primal Scream will release Maximum Rock N Roll: The Singles on May 24. Head here for the full tracklist and to pre-order the compilation.